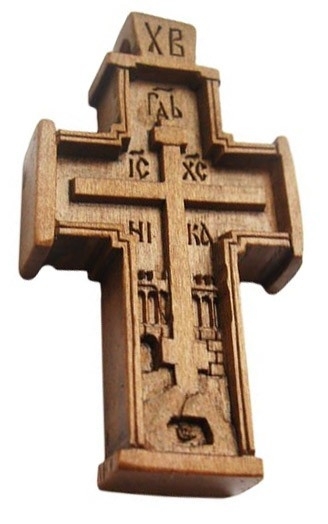 Baptismal cross no.05 - Istok Church Supplies Corp.
Fine carved Orthodox Christian baptismal cross. Pear-tree, carving, finishing: wax mastic. Size: 1.6''x2.8'' (40x70 mm).